We meet at the BBC’s London HQ, but could easily be in Singapore, Sydney or New York. “I can’t be up 24/7, that wouldn’t make sense, but my team operate 24/7,” she says. “I think Saturday afternoon is the only time we’re not doing business, if you work out the clock.” The breathtaking geographical scope of the operation is a major challenge, but something is working: BBC Worldwide does business in more than 200 territories, and boasts annual sales of over £1 billion. It returned a record £226.5m to the BBC in 2014/15. That is a useful contribution to an organization that is funded in the UK by a modest television licence fee, and carries no advertising on its domestic output. 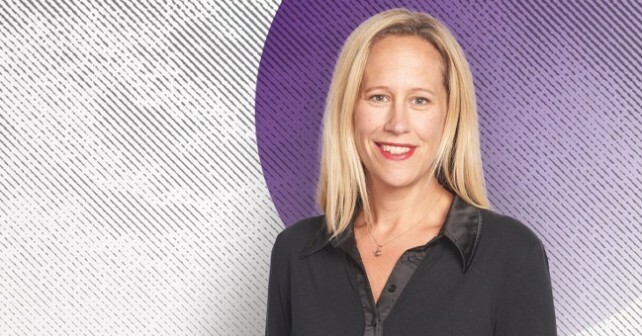 Given the not insignificant challenges of handling varying cultures and time zones across the world, Furber plays the role of orchestrator, setting a clear global strategy and direction for BBC Worldwide, and then letting her global lieutenants get on and find local ways to those goals. “You have to devolve in order to work at speed,” she tells Dialogue. “If everything keeps coming back to the centre, then it’s just too slow.” She calls her global leaders the ‘Top 100’, a network of 100 senior people who have been trained and developed to understand and hone their own leadership styles, and who check in on a quarterly basis to show how they are doing against global goals. “But importantly, employees are hearing from their leader that they connect with – and that leader can translate the model into their culture and their way of doing business,” Furber says. The second step, she says, is creating what she calls a “development focus” in the organization. “You come to BBC Worldwide because you can make a piece of history,” she says. “That’s why you choose Worldwide. It was very clear that should be our overarching message.” Furber has just launched a global development portal which allows anyone to access videos and discussions that will help them develop during their day-to-day work.